Lace Up Fastening. 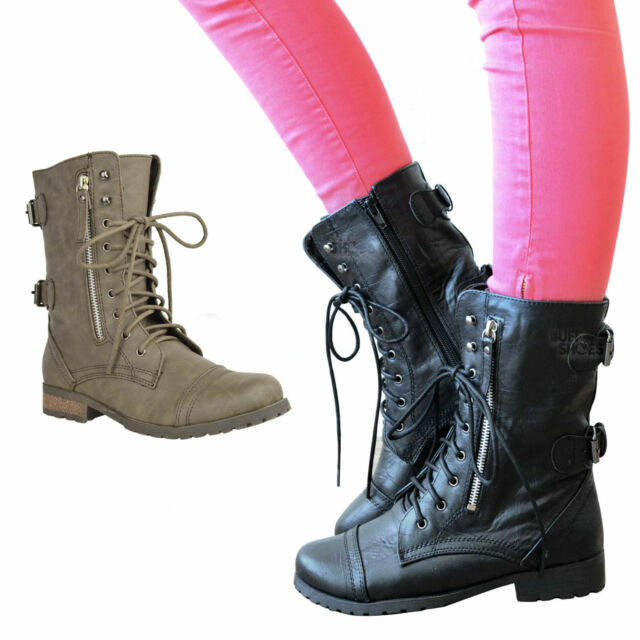 These Boots Are Fabulous Addition To Any Wardrobe. Range of Colours Available. A.U. 5 6 7 8 9 10 11. U.S. 5 6 7 8 9 10 11. E.U. 36 37 38 39 40 41 42.
love love love! very comfortable and exactly what i was looking for. Good quality and looks good. Just a bit noisy.